Sri Ganapati Tours & Holidays located in Tripura offers affordable Assam travel packages to avid travelers. 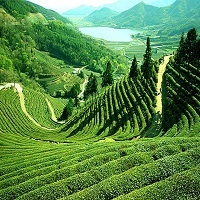 Assam is famous for its beautiful valleys and rivers that flow with clean and clear water bubbling with freshness. The tourism highpoints of Assam include the Brahmaputra River, Brahmaputra Valley and Barak Valley. The Kaziranga National Park is world famous for the â��One Horned Rhinocerosâ�� that is sighted here. The floral richness of Assam makes it an ideal dwelling place to a variety of rare animal and bird species. The Manas Bird Sanctuary is famous for the amazing collection of rare bird species found here. The Manas and Brahmaputra river flowing through the Assam region improves the fertility as well as natural beauty of the entire state.